The planning board at Rotherham Council would have been recommended to refuse INEOS' application for a shale gas test drilling well at Harthill - had the decision not already been taken out of their hands. Having been given the "hurry-up" by Government, INEOS appealed to the Planning Inspectorate over the non-determination of the application. INEOS said that it had encountered "unreasonable delays" in dealing with Rotherham Council on its plans for a drilling rig on Greenbelt land between the villages of Harthill and Thorpe Salvin. As Rothbiz reported earlier this week, the proposed traffic management process is currently the main issue between INEOS and the Council with the authority also unsatisfied by the ecological surveys and assessments undertaken by the applicant. INEOS' oil and gas exploration and production business selected a site between the villages of Harthill and Thorpe Salvin for shale gas exploration, which involves building a drilling rig and drilling vertically, deep into the ground to find out how much gas is in the shale. With INEOS submitting an appeal, it essentially means that the application is refused. Rotherham's planning board will now meet to determine its reasons for refusal and establish its position before any inquiry by the Planning Inspectorate and defend it in the same way it would at a standard planning appeal. The planning board will meet in public on January 25. Around 1,300 representations have been received, all are in objection to the proposals. Officers make recommendations to the planning board in order to inform members and support discussion before a vote is taken. A report to the planning board sets out all of the key issues for and against the proposals gaining planning permission following consultation with experts within the authority and at other interested organisations such as the Environment Agency, Public Health England, The Health and Safety Executive, The Coal Authority and South Yorkshire Police. For many issues, such as flood risk, heritage, ground contamination, visual impacts, and noise, the plans, and mitigation proposals, have been considered acceptable by Rotherham's planning department. Regarding the site being in the Green Belt, exploration and appraisal of a mineral resource are not inappropriate activities by definition. 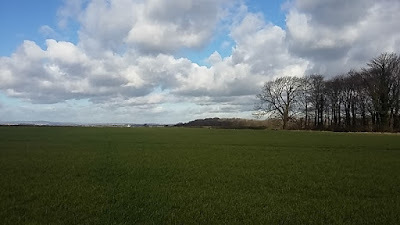 In this case, the report states: "The provision of the 60m rig, security fencing and the temporary portacabins, as well as other ancillary equipment, would have an impact on the openness of the Green Belt, though this would be over a relatively short term period, at the end of which the site would be restored with all equipment/fencing/bunding being removed. As such, it is considered that the proposals do not represent inappropriate development in the Green Belt." One reason for refusal is based on ecology issues even though the impact on wildlife, trees and hedgerows is likely to be low to moderate. The report concludes: "However the deficiencies and omissions within the supporting ecological data are of such significance such that these deficiencies cannot be satisfactorily overcome through the imposition of conditions." Andrey Godfrey, ecological development officer at Rotherham Council explains: "Given the high public concern with this application, the applicant needs to ensure that they have done everything necessary to ensure the application complies with the law and best practice. I consider that the ecological surveys and assessments fall considerably short in a large number of areas." As reported earlier this week, Ian Ferguson, senior highway development control officer at Rotherham Council is yet to be convinced by the amended traffic management plan (TMP) from INEOS. The Council have been unsatisfied that it includes adequate mitigation in terms of protecting the safety of other road users on the intended route along country lanes. It is also unconvinced that rigid 9m long vehicles could safely negotiate the Common Road/Harthill Field Road junction (pictured, below). The proposal could generate a maximum of 70 daily vehicle movements during the site development and establishment stage and 60 among the subsequent phases. The impact of the proposal's traffic on Bondhay Lane and Common Road was confirmed as being above 10% with HGV increase above 30%. INEOS want to implement a Temporary Traffic Regulation Order to control periods of one way traffic by signs and/or banksmen directing traffic along a diversion route. The report to the planning board concludes: "It is not considered that all vehicles could negotiate this route in a safe and satisfactory manner, in particular at the Harthill Field Road junction with Common Road. Therefore, the measures would not satisfactorily address the road safety concerns regarding the introduction of a significant number of additional large commercial vehicles along these narrow country lanes. "Limited informal passing places currently available do not allow for a standard sized car to pass a large commercial vehicle. 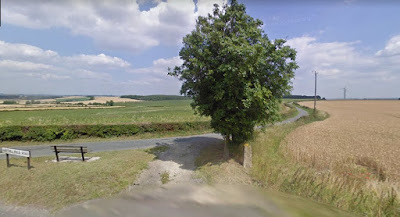 Furthermore, vulnerable road users such as pedestrians, cyclists and horse-riders would be particularly at risk along those parts of the route where there is no verge. "Overall, despite the submission of additional information these concerns cannot be satisfactorily addressed. "Therefore it is considered that the proposal fails to satisfactorily address highway safety concerns raised, along with insufficient ecological details submitted, and the application is recommended for refusal on these grounds."